Adam Dickinson has over 11 years of experience in the real estate appraisal industry. Adam is an appraiser and part owner of de Stecher Appraisals Ltd. in Saint John. Adam joined the Appraisal Institute of Canada in 2006 and earned his AACI designation in 2009. Adam spent several years on the board of AIC’s New Brunswick affiliate, the New Brunswick Association of Real Estate Appraisers, including a term as president of the board. Adam’s practice includes assignments for private and public sector clients and his appraisal work ranges from vacant land and small apartment buildings to large industrial properties. Adam takes a particular interest in working with non-profit housing groups. 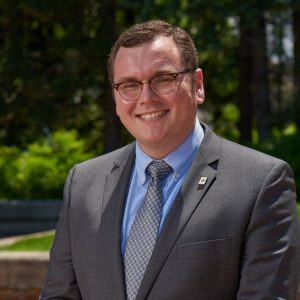 Adam joined the national Board of Directors in 2017.